Dr. Cysewski co-founded the Company in 1983 and has served as a director of the Company since that time. 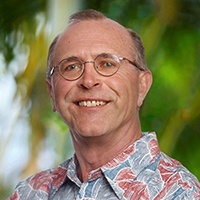 Until June 1996, he also served as Scientific Director. From March 1990 to May 2008, Dr. Cysewski served as President and Chief Executive Officer of the Company and in October 1990 was also appointed to the position of Chairman of the Board. From 1988 to November 1990, he served as Vice Chairman of the Company. From 1980 to 1982, Dr. Cysewski was Group Leader of Microalgae Research and Development at Battelle Northwest, a major contract research and development firm. 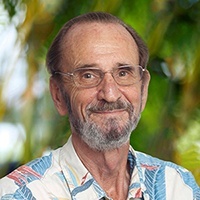 From 1976 to 1980, Dr. Cysewski was an assistant professor in the Department of Chemical and Nuclear Engineering at the University of California, Santa Barbara, where he received a two-year grant from the National Science Foundation to develop a culture system for blue-green algae. Dr. Cysewski received his doctorate in Chemical Engineering from the University of California at Berkeley. Since 2012, Brian has served as VP of Finance, Asia Pacific for Fresh Del Monte Produce based in Manila. Before that, he served as CFO for Sumifru Corporation (a joint venture with Sumitomo) based in Singapore. 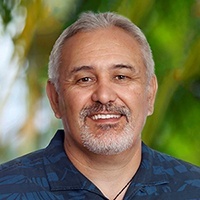 Before that, he served as Senior VP/Finance for Hawaii Bioenergy LLC in Honolulu and VP/Strategic Planning for Maui Land & Pineapple Company in Kahului. He began his career working in varied financial management positions for Dole. His education includes degrees in Agriculture Economics, General Management and Finance. 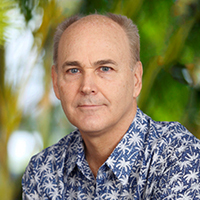 Mr. Jensen has served as Vice President – Operations since May 1993. He joined Cyanotech in 1984 as Process Manager and was promoted to Production Manager in 1991, in which position he served until his promotion to Vice President – Operations and then Vice President – Manufacturing and Infrastructure in 2015. Prior to joining Cyanotech, Mr. Jensen worked for three years as a plant engineer at a spirulina production facility, Cal-Alga, near Fresno, California. Mr. Jensen holds a B.S. degree in Health Science from California State University, Fresno. Ms. Johansen has 15 years of experience in quality and regulatory, and is a member of the Regulatory Affairs Professional Society, is an American Society of Quality certified HACCP Auditor, and is a Preventive Controls Qualified Individual (PCQI). 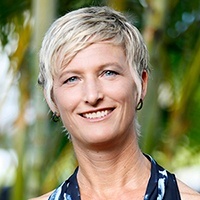 Ms. Johansen is instrumental in building relationships with local and federal leadership and developing Hawaii as the next leader in the natural products industry. Since 2012 Ms. Johansen has been working alongside the United Natural Products Alliance (UNPA) to develop the next generation of congressional champions for the Dietary Supplement and Natural Products industry. She is the Chairwoman for the Hawaii State Chapter of UNPA and is on the Kona Kohala Chamber of Commerce Economic Development Committee and Sustainability Committee. Ms. Johansen attended the University of Oregon on a full athletic scholarship for basketball and obtained her degree in Psychology, with a minor in Organic Chemistry.